The AK-Player 7 software media player is an interesting experience. When launching, it seems to fly into to view from a distance. Possibly from another solar system, given its default skin--UFO doesn't even begin to cover that. It's an impressive display. 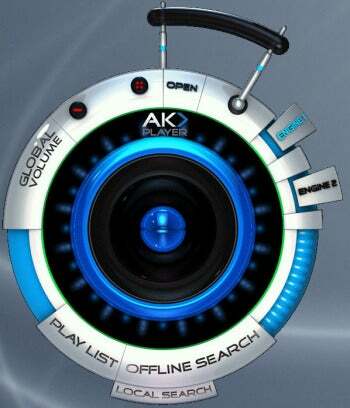 AK-Player 7 plays video and audio, as well as images, but aside from its animated interface, doesn't stand out from the crowd. You might not even guess that sci-fi rendered AK-Player 7 was a media player if it weren't for the name. 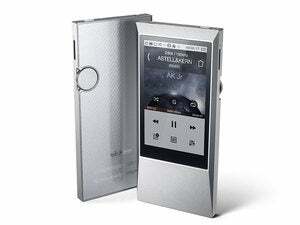 Generally speaking, the AK-Player 7 performed well for me, with excellent picture and audio quality. But there were some bumps. When I dragged and dropped a file whose type the program didn't recognize, it played the previous video rather than warn me that the file type was unsupported. Also, the play button is skinned the reverse of normal--when a video is playing, the play bitmap is displayed, and when the video is paused, the pause bitmap is shown. Normally, the action to be performed by the button is shown--not its state. AK-Player 7 supports a decent number of file types: normal Windows types (.AVI, .WMV), .FLV, as well as MPEG4 and DVDs. It also plays the more common audio types and displays common image files. It's not VLC in that regard, however. Support for OGG, FLAC and other less common, but still popular formats isn't included and the program seemingly doesn't understand DirectShow filters --I have those installed for both OGG and FLAC and the program still didn't recognize them. I hope the next upgrade will broaden support. AK-Player 7 is free and no one should complain when someone puts in hard work and donates it for the public good. It's worth the download just to watch it launch. After that, the experience, unfortunately, is merely average, though promising for the future. AK-Player 7 is a visually spectacular software media player, but otherwise merely capable.